Get into those hard-to-reach places with the multipurpose precision brush. Its professionally crafted bristles let you apply shadow, concealer, lipstick and more for a fresh and crisp result. 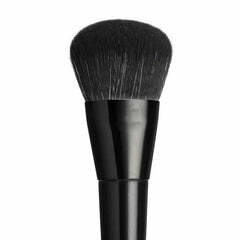 You can also use the brush to conceal blemishes for a smooth complexion. All these dual-purpose benefits allow you to perform all your favourite makeup tricks with one handy little wand! 18.3cm full length. Bristles - 6mm high, and 5mm wide.